NORMAL, IL–Despite a lopsided outcome, fans at the Corn Crib were treated to some excitement in the late innings in Game 2 between the River City Rascals and Normal CornBelters on Wednesday night. The Belters won the game 12-3, behind a nine-run first inning, but the real action came in the bottom of the seventh. Rascals reliever Cody Mincey threw a pitch behind Normal’s Andrew Godbold, and was immediately ejected from the game, sparking a benches-clearing scuffle down the first base line between the two teams. Order was soon restored, and the CornBelters finished off the Rascals to take a 2-0 lead in the series. No other players were ejected from the game. 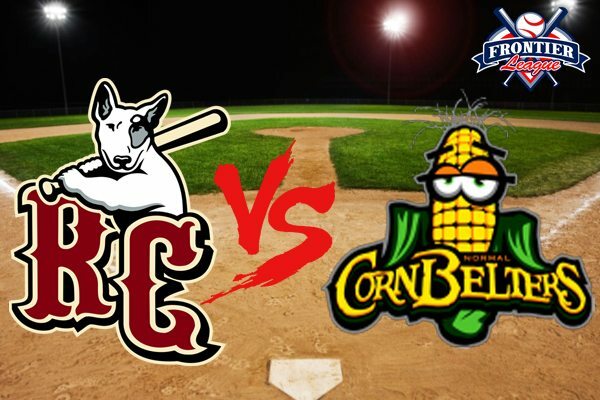 The Rascals (21-20) look to avoid their second sweep to the CornBelters (18-20) this season, in tomorrow night’s finale. First pitch is scheduled for 7:05 pm CT, and Hector Hernandez is expected to start for the Rascals.